I am honored to have this opportunity to testify before this hearing of the National Commission on Hunger. I want to address three points: School lunch should be free for all students; beware of the language of public-private partnerships; and it is time for a White House Conference on Food and Hunger. SCHOOL MEALS. The current school lunch and breakfast programs make an enormous contribution to preventing and alleviating childhood hunger in the United States, but they can and must do more. I am particularly concerned about two groups of students, those who are not eligible for free or reduced price meals but cannot afford the full price meal, and those who are eligible but are deterred by stigma or other factors from participating in the program. Even in moderate or low cost of living areas, we have known for a long time that families with incomes up to twice the poverty level face high rates of material hardships. This is why Congress permits states to use higher income eligibility ceilings for the Children’s Health Insurance Program (CHIP). In fact, the average state CHIP ceiling is 241% of the Federal Poverty Line (FPL) and in 19 states and the District of Columbia, it is three times the FPL! Why would we not implement a similarly inclusive standard for access to the healthy meals that can reduce the need to rely on medical care? A final note about eligibility thresholds derived from the poverty line. “Once an eligibility threshold is established, it seems to take on a life of its own. We may discuss raising or lowering it, but we quickly lose sight of the fact that it is a blunt instrument, really only an average figure, suitable for classifying large data sets—for looking at census data and figuring out whether the poverty rate is higher or lower than it was two years ago, say—but not very accurate for determining if a particular family is in need of whatever benefit or service we are discussing.”  Any specific cut off is likely to include some children who are not actually in need, and exclude others who are. In a fully means tested program like SNAP, there are various “deductions” and adjustments to income that help take into account regional disparities like housing prices or heating costs, and family variations like child care costs or work expenses. Schools, however, were never set up to administer such a means test and they are singularly ill equipped to do so. Part of the genius of the Community Eligibility Option (CEP) is that the means-testing is done by agencies better able to do it. It seems to me that a priority for the Commission should be the protection and expansion of CEP. I say “protection,” because it is clear to me as I look back over the history of food assistance that whenever a provision leads to increased federal expenditure, it engenders hostility in parts of Congress. Second, children who are eligible but do not eat. I do not have a national estimate, but in New York City, on an average school day, about 250,000 or one third of income-eligible youngsters fail to participate in school lunch. There are many reasons why students who are income-eligible for free or reduced price meals do not eat them. They may not have a lunch period at an appropriate time. They may be afraid of the cafeteria or the stairwells leading to it. The lunch period may be too short to allow them to get through the line and consume the meal. They may dislike the food. But those who have closely observed school lunch generally report that stigma is the major factor. In too many schools, as one UC Santa Cruz student explained to me, “The cafeteria was for the poor kids. The food there was gross. Kids who did not eat in the cafeteria were embarrassed to go into it during lunch for fear that others would think they were getting free or discount lunch.” In the early elementary school grades, kids don’t seem bothered, and participation nationally is much higher in elementary grades than in middle and high school, but as kids become socially aware, they don’t want to be classed with “the poor kids.” The stigma is especially intense where separate a la carte lines make obvious who is paying, and where students are permitted to leave the campus to eat in restaurants. Far too many poor students just don’t eat, or get by on a bag of chips from the corner store. Further, the stigma infects the food itself, engendering negative attitudes, and the free vs paid system creates ample opportunities for bullying. 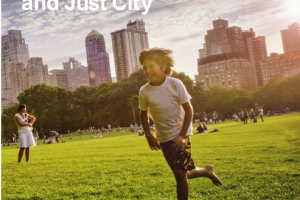 In New York City, the Lunch 4 Learning Campaign to make school lunch free citywide was frustrated when the mayor and chancellor opted to implement CEP only in freestanding middle schools, but this cloud has had a (modest) silver lining. Middle school only free lunches functioned as what social scientists call a natural experiment. Compared with the first four months of the previous year, participation in school lunch in middle schools was up 8% this year, while participation in elementary and high schools remained flat or decreased slightly. That is an additional 10,000 meals a day. Nothing else was different, and because of the complexities associated with middle school students who attend K-8 or 6-12 schools, there was virtually no publicity about the change. The reduction in stigma, and the affordability issue discussed above, must explain this change, and this explanation is confirmed by the anecdotal evidence from observers, both in New York and in other cities. In Detroit, for example, an early adopter of citywide CEP, the food service director reports that the steepest rises in participation occurred in the Voc-Tech high schools where virtually all students were already eligible. She is convinced that the reduction in stigma explains the rise. In the middle school in my neighborhood of Brooklyn, which serves a substantial population of working class New Yorkers, including many recent immigrants, the Parent Coordinator told me the new system had changed the atmosphere in the cafeteria because now “everybody eats,” while in the past, there were always substantial numbers of children who did not have the money for lunch. Both of these groups of students would benefit enormously from moving to a universal free school meals policy. Collateral Benefits. This is the National Commission on Hunger, not the National Commission on Healthy lifestyles, nor the Commission on Effective Education, but I must take a moment to point out that universal free school meals, toward which the Community Eligibility Program is an important step, would allow school food finally to take its rightful place as an integral part of the school day. Curriculum could be built around it that would help to foster appreciation for whole, healthy foods. We are missing a major opportunity for “food education” that is urgently needed, as well as a major opportunity to promote civility and harmony in our schools. Your mandate asks you to develop innovative recommendations to encourage public-private partnerships, faith-based sector engagement, and community initiatives to reduce the need for government nutrition assistance programs, while protecting the safety net for the most vulnerable members of society.” It is a noble thought, but I get nervous whenever I hear a call for public-private partnerships to end hunger, because too often such calls have gone hand in hand with efforts to reduce access to federal assistance. At the very least, they often embody massive wishful thinking. The Christian anti-hunger organization Bread for the World recently published a graphic consisting of twenty-four grocery bags, pointing out that only one of 24 represented the entire charitable food assistance sector, while the other 23 were all federal, public food programs. Joel Berg has pointed out how the early termination of the ARRA SNAP benefit increase has essentially undone the entire private food assistance effort for 2013. We have been down this road before, so I’d like to read you a brief reflection on public-private partnerships by one of the pioneers of food banking, Sister Christine Vladimiroff, who was, at the time that she made this statement, the CEO of Second Harvest, now known as Feeding America. Part of the solution to hunger calls for partnerships between the business and charitable sectors and it counts on the generous giving and volunteering by individuals. But, crucial to the effort is the key role played by the public/government sector….Yes charities do a great job! We are efficient and effective. We are close to the people we serve. We are local, grassroots responses of neighbor feeding neighbor. It seems to us that the government can and should look to charities for leadership….We can tell you what works well, what doesn’t work and what might work better. We can show you how to cut out waste and how to have a flat, efficient administration with resources reaching people in need. We can provide you with models of success that can be duplicated. What we will not do, what we cannot do, is concur with those who call for government to cut programs that provide hungry Americans with access to food. (1994, National Press Club). When you invited me to testify, and I began to think about what I could add to these proceedings, I thought back to the last National Commission on Hunger, the President’s Task Force on Food Assistance that Ronald Reagan convened to conduct a “no holds barred” investigation of hunger. The group concluded that sub-clinical malnutrition and hunger probably could not be quantified. One result was the extraordinary collaborative development process that led to the annual measurements of the Household Food Security Survey. These annual surveys give us much needed data, but perhaps they have also served to numb our sensibilities a bit. The sense of outrage seems to be gone, and with it some of the energy and motivation we need to tackle the problem of hunger effectively. We need something to elevate this to a higher level of urgency, and that is what makes me think of a White House Conference. I do not believe that food programs alone can eliminate hunger. I think we need fair wages and a far higher minimum wage with automatic adjustments for cost of living. I think we need a more adequate incomes policy for those who can not or should not work, a WPA type infrastructure upgrade program with jobs for those who can work but have not found employment in the private sector, far more robust investments in both education and job training, and comprehensive early childhood interventions and supports for young families. I would favor a European style child allowance. But I have recently had an opportunity to look back over the whole history of food assistance in the US, and I have become convinced that for the near term, at least, food programs are more acceptable to wide segments of the American people and their leaders in Congress than are income supports. Further, I see the food assistance programs as part of a broader new food consciousness. Food studies programs in universities, farm to table restaurants, community gardens and rooftop farms, health and environmental initiatives by major food corporations, the national preoccupation with obesity, all contribute to a context in which food can bring us together. That is why I think you might want to consider recommending a White House Conference on Food, Hunger and Health. I am grateful for this opportunity to share my views, and I wish you well in what I perceive to be a challenging task. COLI figures from http://www.infoplease.com/business/economy/cost-living-index-us-cities.html, 2010 data. Congress (accurately) reasoned that where the cost of a full price meal was less than the reimbursement for a free meal, the free meals were in effect subsidizing the meals of paying children, resulting in lower quality meals for all. See Chauna Brocht, Heather Boushey and Jared Bernstein, Hardships in America. (Washington, DC: The Economic Policy Institute, 2001). 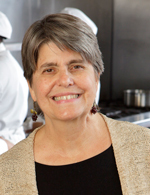 Janet Poppendieck, Free For All: Fixing School Food in America. (Berkeley: University of California Press, 2010, p. 187. See the testimony of NYC middle and high school students before the Education Committee of the NYC City Council, available at www.lunch4learningNYC.org the website of the Lunch for Learning Campaign.